Praying For Friendraiser - Right Song. Right Time. 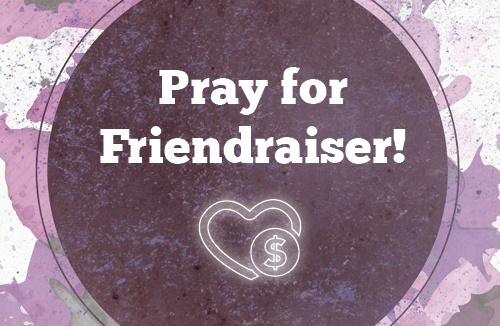 Friendraiser is coming up soon, beginning on Wednesday, March 14th! This fundraising event is an open door for you and any others to join in with us on what God is doing through the ministry of SOS Radio! So would you pray with us about all that goes into a Friendrasier event like this? We know that prayer is VITAL to the success of everything we do here.